However we say it or think about it, surely it’s true that we are almost always experiencing some kind of change, whether big or small, in some area of our life. Theresa, JJ and I have experienced all of the following in the last year: a new job for Theresa, a new school for JJ, the purchase of a house, and the change of pastors at church. That’s a lot. But in some ways it just sort of seems like the new normal, and I’m sure that everyone reading this could share a similar list. For many of us at Broomfield UMC, that last item on my list - the change of pastors - is a big one. In this time of transition as we eagerly await our new Lead Pastor Don Bird, I’ve gotten the chance to talk with many of you about this change, and I’ve learned that we are all processing it in many ways. In these conversations, I’ve heard expressions of sadness and fear as well as excitement and hope for the future. All of these feelings and emotions are valid and understandable. Fortunately for us, there are so many examples in scripture of God leading his people through changes, and we can look to these stories to be reminded of God’s faithfulness. From the story of Abram being called to a foreign land, to Mary being called to be the mother of Jesus, to Jesus calling his first disciples to change their lives and follow him, the Bible gives us a look at how God calls us into new seasons and situations, as well as how God promises to be with us during these changes and transitions. Something I’ve noticed as I read these stories is that when God calls us to something new, he always starts with a simple invitation. While we would probably prefer more details, what we get is, “Come, follow me.” We want the 5 point plan, we want the graphs and charts showing how things will end up, but God rarely, if ever, gives that. Some say that God speaks in sentences, not paragraphs; I like to think of it as God asking us to just put one foot in front of the other. It’s a lot like following a hiking trail through the woods - we can never see the whole trail laid out all at once, but when we follow and stay on it, we end up in the right place. This is how the transitions and changes at Broomfield UMC have been unfolding, for sure. We got an announcement in February about Ken leaving, another announcement in April about Don’s arrival, and now we’re in a time of waiting and preparation. It’s just one foot in front of the other as we trust God’s new calling on our church family. So what do we do in order to stay close to God in times like these? We thank and trust God. Transitions are a sign that God is at work in us. God is not distant, causing us to be born and then checking out and watching from above. God is active in your life and my life and when we sense things changing it’s often because, like the first disciples, God is calling us to join him in something new. That is a reason to rejoice because it means we are part of God’s plans to love and redeem the whole world. We listen, talk, and lean on each other. Transitions are difficult, no doubt. But knowing that we’re not alone in them and leaning on each other makes them easier. Right now, there are a whole lot of people in our Broomfield UMC family who are eager to talk about the changes our church is experiencing. When we do this in constructive ways within our church community, the burdens and anxieties of not knowing what is coming next are spread out among all of us in a way that lightens our individual loads and dispels the what-if's that fill our heads. This is true about any transition you may be experiencing - there is always someone who has been through it before, or is going through it now. We have hope. Pastor Thomas reminded us a couple of weeks ago that hope means “confident expectation.” We should all have a confident expectation that God is with us and has extraordinary plans for his church in Broomfield. This is evident in every transition story in the Bible. One of my personal favorite examples is from the book of Joshua. In this story, Moses, Israel’s leader, had just died and God commissioned Joshua to take the Israelites over the Jordan to the Promised Land. God spoke these words to Joshua, "No one will be able to stand up against you during your lifetime. I will be with you in the same way I was with Moses. I won’t desert you or leave you.” (Joshua 1:5, CEB). The times, they are a-changin’. And now, as always, God is with us, thanks be to God. One other small transition I want to let you know about concerns this blog. Broomfield UMC is about to get shiny new website, and when that happens, the blog will transition from its current home on Blogger.com to our site. This means that your email subscription will change. In the meantime, we are pausing new posts so we can work on migrating the old ones to the new blog. We will send out a few posts with instructions on how to sign up for blog emails once the new site is in place. Thanks for reading! 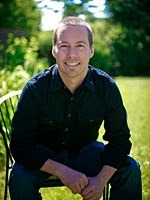 Joe Mazza is the Director of Worship Arts at Broomfield UMC and leads worship at our 8:30 and 9:45 worship services. He and his wife Theresa and son JJ can always be found making music around the church as a part of the Worship Arts family. Joe also plays guitar with local Colorado artists and if you friend him on Facebook, you can find out where he's playing and catch a show. Thank you, Joe. Nicely stated. FYI - this Joshua story was the theme for the Homebuilders' lesson this week. Another divine coincidence.